Имате въпрос към Guesthouse Engakudou? Ако това, което търсите е хотел с добро местоположение в Химедзи, не се колебайте, а изберете Guesthouse Engakudou. Само на 0.5 Km от градския център- това стратегическото местоположение на хотела гарантира на гостите си бърз и лесен начин за достигане до интересуващите ги точки на града. С удобното си местоположение хотелът предлага лесен достъп до всички градски забележителности, които задължително трябва да се видят. Предлагайки висококачествени услуги и широка гама от удобства, Guesthouse Engakudou Ви осигурява възможно най-комфортния престой. Хотелът осигурява безплатен WiFi достъп във всички стаи, семейна стая, сейф, зала за пушачи, за да гарантира комфорта на своите гости. 4 стаи са разположени на 2 етажа като във всяка една от тях цари неповторимото усещане за домашен уют. Модерен комфорт с удобства като безжичен интернет достъп (безплатен), стаи за непушачи, климатик, вентилатор, интернет достъп (безплатен) са на разположение в определени стаи. През деня можете да се насладите на отпускащата атмосфера благодарение на градина. Каквито и да са поводите за Вашето пътуване,Guesthouse Engakudou е най-доброто място за престой, което можете да изберете в Химедзи. I am very happy to talk to the owner Panfu. His music makes me feel very warm and the place is very quiet and comfortable. It was located further away from the station and Himejijo than expected but nonetheless, walkable. It was not hard to locate the guesthouse but some navigation in the neighbourhood is required; had my google map hence it was not an issue for me. The guesthouse was below expectation, the owner only changed the bedsheets etc in my cubicle after I checked in saying that it was a peak period that he did not have the time to do so before I checked in. I was just thinking if the used bedsheets would be left there if no one checks in? The hostel is very damp and cold, the part I like most is the common hall where there are many books and you can help yourself to the free flow drinks, not forgetting the heater! Would recommend solo travellers to choose another place over this. It s not a first category hostel but there is a very good environnement on it. The only time I stayed at a hostel and felt immersed in the local culture. The owner is a terrific person and offers his time and musical and culinary talents to make your trip to Himeji special and more than just visiting the castle. What a stay. Will never forget it. A very quiet neighborhood and very near to Himeji Castle. Walkable to castle as well as station. 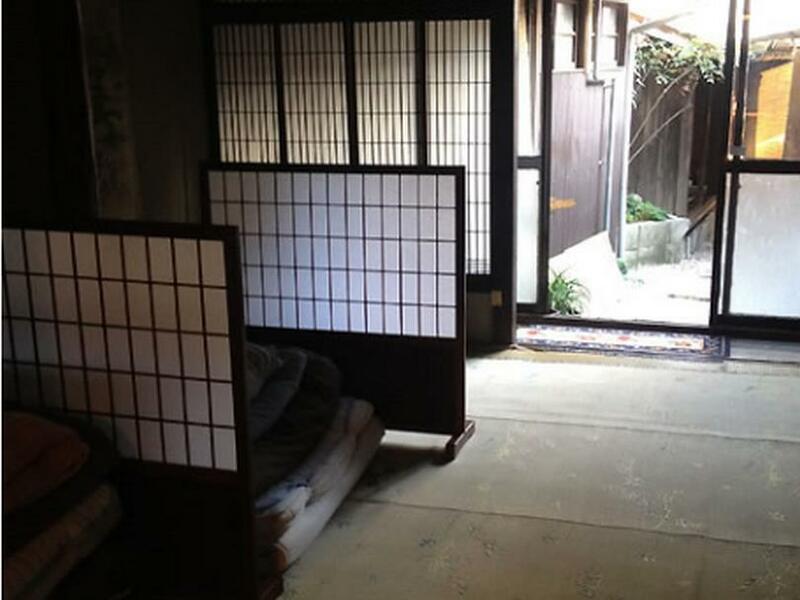 Place wise, it's a very unique experience to feel how Japanese home is like. If you're abit picky of sleeping place or sort of, it might now be a good choice. Host is very nice and kind, would help you for any enquiries. Totally recommended for the experience and the distance. A real backpacker guesthouse, funky,colorful, the owner himself is a traveler, super nice, the house is old ,very quiet and traditional,feels like being in the church countryside ...i would have loved to stay more ! This is the best guest house I've ever met!! The pretty reasonable price and fine location(five minutes walking to the gate of Himeji-jo) are the most recommended factors. Moreover you can taste free coffee, green tea and enjoy tons of Japanese mangas!! And this house is so traditional(it is said this house was built up more than a hundred years ago) and modern style(you can see unique paintings here and there). Enjoy your stay here!! Himeji is well worth a coiple of nights to stay and this place was interesting and had a pretty unique design ... imagine an old traditional style Japanese house which met Bob Marley and wall paintings ... rooms were basic Japanese Tatami but good enough to sleep ... atmosphere was good! This place is a short bus ride from the train station (four stops) and close to the castle, which makes it a great place to check out the castle from. Then owner is friendly and speaks decent English. I got plenty of help with planning my sightseeing, though not as helpful with places to eat (there might not be a lot around the guesthouse...). I was able to chat easily & comfortably in the main common room, which is in the main house, across the narrow street from the mixed dorm. Then mixed dorm is basically a simple conversion of a small house into a dorm with basic facilities, including toilet, showers and a small common room. It isn't anything special, but comfortable enough and close enough to the castle to make it a fairly good deal. Near the Himeji castle, nice owner!! Nothing much to comment here. The stay was good, the host is good, it is worth for the money. The hosts were very welcoming. Everything was very clean. The location is very near to the castle. Though the hostel locates a bit far away from the Himeji station, it is convenient for the guest to go to the Himeji castle. just a night stay. no much comment. 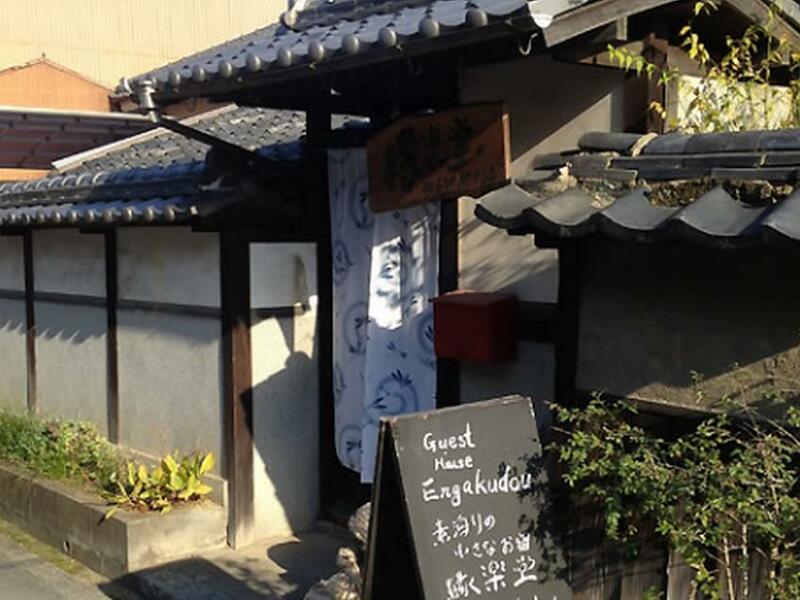 We loved Guesthouse Engakudou in Himeji ! Location was great, 5 mn walking from Himeji Castle and Koko-en garden. We walked 20 mn from Himeji JR station to get there but it's easily reachable by bus (5 mn). Staff was very nice, offered us some tea and had a chat with us. 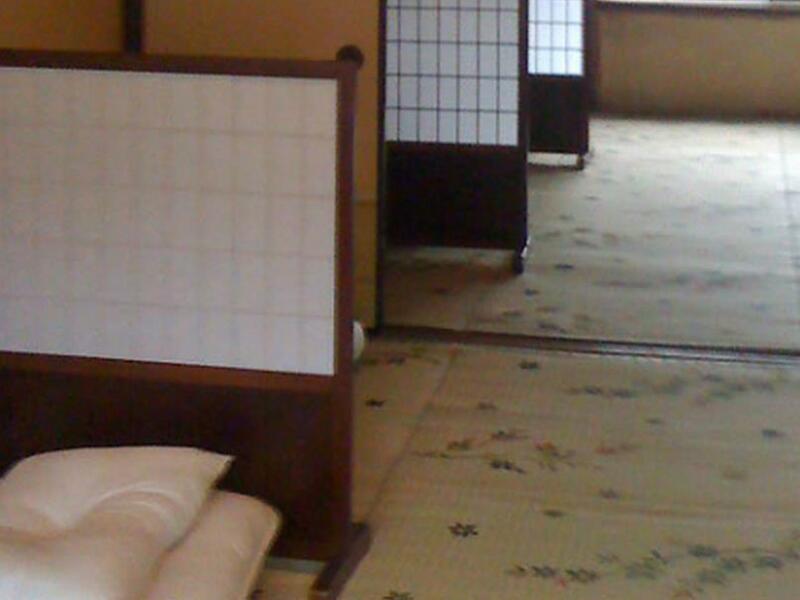 The rooms were Japanese traditional, 6 tatamis and personal futons, really comfortable, even with AC. The guesthouse is beautiful with really good vibrations ! Highly recommended if you go to Himeji ! !